After months of intensive training at the cadet school, CHUNG LAP-MAN (Ron Ng) and LEE PAK-KIU (Sammul Chan) have now become qualified police officers and are deployed to the same police station. KIU’s girlfriend loses her life in a police operation, and the mishap also brings the friendship between KIU and MAN to a sharp end. It turns out that the newly appointed Sergeant CHEUNG KING-FUNG (Michael Tao) is the principal target of the above mentioned operation. KIU even discovers that there is a chilling secret behind the death of his girlfriend. MAN has an ever-devoted admirer called MAN CHING (Kate Tsui), who is a cousin of his. Despite this, he has been going out with his colleague CHEUNG NIM-YAN (Joey Yung) and their relationship is progressing really well. KIU falls in love with FUNG’s ex-wife YUEN WAI-NI (Sonija Kwok), who nevertheless is still in close contact with FUNG… Challenges of work, friendship and love are stretching the lads to the limit. How can the buddies cope with all the stress that life throws at them? HEHE! -TSUNAMI1313- i’m agree with you. Joey & Ron WOW. ;p well, iM a BIG RON NG FAN XD woaahh, he’s so amazinng. okays, well . . wanna ask you guys. does anyone know the cuty instrumental song on the part of the movie, when Joey knew that Ron was lying to her about the phone chain.. & then Ron was following Joey at her house ? hey I really like “on the first” I have watch all the episode of it. I want to know it does it going to come out another movie series of it. I can’t wait to watch another movie series of “on the first beat” especially the cast. 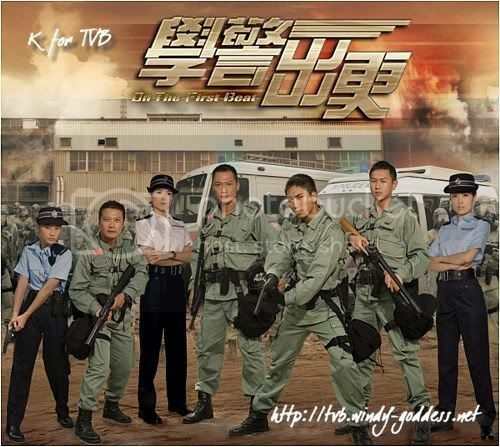 I like the cast, especially Michael Tao and Sonija Kwok. When is part 3 coming out? I know it will come out in 2008. Now is 2008 why is the third one not coming out yet? And also beside “on the first beat” movie does it have any other movie that have Michael Tao and Sonija Kwok in it? if it does, can you tell me what is the name of that movie that have Michael Tao and Sonija Kwok in it? I have a a question for Sonija and Michael. I think you guys are a cute couple. when are you two going to film another movie together? Or u guys mad about people saying that Sonija is third part in real life? Sonija and Michael here is advice for u two I want u to forget about that romoured and film another movie together. Don’t worry about the romoured I don’t believe what they say about u two. KTVB, Michael Tao and Sonija Kwok please reply back the message that I send it to you all on August 31st, 2008 at 6:29 am.